Outstanding Features, Performance, and Price - See what RenderMan can do for your creative vision. 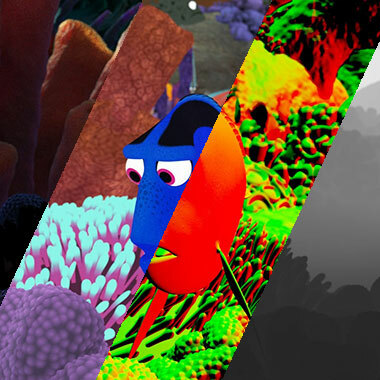 Not only is RenderMan used for our own feature films at Pixar, it is also used throughout the industry for rendering Visual Effects and animation, making scalability and versatility one of its core strengths. Now you can get out-of-box production tools straight from Pixar Animation Studios, including materials and light transport...no development required. Physically based shading allows RenderMan to deliver highly realistic lighting with minimal setup, including full support for multi-bounce ray traced global illumination and ray traced subsurface scattering. Much research and development has gone into making these traditionally expensive effects a production reality. Pixar's first feature film to use this technology was Finding Dory, and now it has matured with great developments in Cars 3, Coco, and Incredibles 2. Materials come fully loaded with all of the creative options for look development demanded by the shading artists at Pixar. Use Pixar Surface to create everything from glass to the most incredibly subtle skin you can image … and layer them on top of each other, for unlimited types of looks. This new library of physically based lights offers standard features like color temperature, exposure, and IES profiles … but also includes specialized Light Filters which have been developed for feature film. RenderMan has seamless Xgen integration with Maya and supports the leading plugins, including Joe Alter's Shave and Haircut and Peregrine Labs' Yeti. Discover how RenderMan is helping the amazing team at MPC reach new heights for photorealistic digital humans. RenderMan was the first VFX commercial renderer in the industry to ship with a physically based model for subsurface scattering, a truly accurate model for photorealistic skin based on deep path tracing and albedo controls. 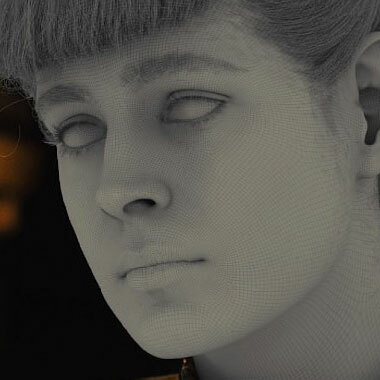 Until now, the implementations available to the VFX industry for these effects have been substantial approximations, which inherently produced errors and artifacts. RenderMan's new subsurface approach significantly increases quality and realism when rendering skin and other soft or delicate materials, which is essential for creating believable characters. RenderMan has a unique way of dealing with light transport, by giving artists and developers creative control over camera rays. RenderMan provides 3 out-of-the-box production integrators, including Pixar's own integrator, Pixar Unified, which has been battle tested in all productions since Finding Dory and includes the latest tech innovations for Incredibles 2. The integrator system provides all the necessary tools for studios to write their own integrators, allowing development teams creative and non-destructive freedom to experiment with cutting-edge technology, as exemplified in this Non-Photorealistic Rendering case study by Lollipop Shaders. Smoke, fire, clouds, dust, OpenVDB... RenderMan can render it better and faster than ever. RenderMan has the ability to resume interrupted renders, redefining the animation approval process. Checkpointing allows the renderer to make repeated passes over the image, refining it a bit more with each pass. While the image will be quite noisy during the initial passes, it is usually sufficient to give an impression of how the final image will look, instead of having to wait for a final frame, allowing daily reviews and more iterations of animated sequences. Learn how checkpointing is helping the award-winning work at MPC. RenderMan handles fur and hair fast and efficiently using the industry-leading Pixar Marschner Hair, developed at Pixar Animation Studios for feature film production. The Lion King © Disney. Displacements are a core strength of RenderMan. With support for 32bit maps, PTEX, and vector displacements. RenderMan AOV and LPE passes provide robust workflows for compositing feature animation and VFX. RenderMan provides elegant methods for breaking visual effects down into secondary passes for compositing, including DeepEXR and Cryptomatte support. With support for both AOVs and Light Path Expressions, RenderMan offers a multitude of ways of writing any element of a render (SSS, Diffuse, Shadows, Z-Depth, Object IDs, Per-Light AOVs, etc.) into many popular formats. RenderMan AOV and LPE passes provide robust workflows for compositing. 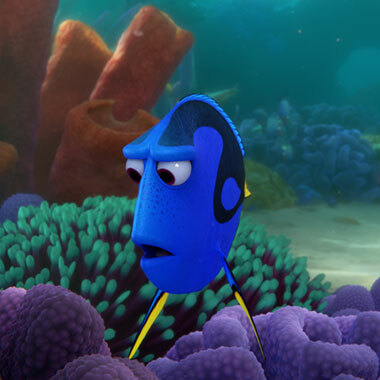 "We approached Finding Dory as if we had a live-action camera"
RenderMan ships with a production-ready Denoiser, which includes optimizations for Intel CPUs, and CUDA acceleration for NVIDIA GPUs. Clean up sampling noise 2-4x faster with RenderMan's Denoiser! Developed by Disney for Big Hero 6, the Denoiser has been used on all Pixar films since Finding Dory. It has recently been upgraded with several new features, including full Intel CPU code vectorization. For Zootopia, Disney optimized the Denoiser to handle lots of fur and hair, while at Pixar the Denoiser was extended to support GPU acceleration, reducing the time required to denoise a feature film frame to seconds. RenderMan can be used seamlessly with the leading Cloud Rendering solutions. 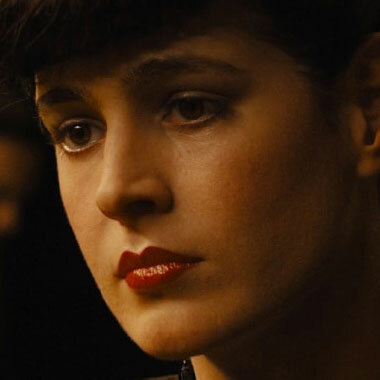 Expand the circle below to read about how Milk VFX rendered 77 million 4K frames. Milk VFX chose RenderMan to deliver the very ambitious Dinosaurs in the Wild, and thanks to Google Zync, they were able to deliver 77 million frames at 4K resolution in under 3 months. Without the cloud, the same render could have taken 2 or 3 years to pull off. Take a look at the case study. There are several RenderMan solutions for rendering in the cloud, providing extraordinary burst capacity. RenderMan's motion blur and depth-of-field can mimic the behavior of real-world cameras, so RenderMan's synthetic images can realistically simulate their conventionally filmed counterparts. RenderMan is fully capable of delivering high-resolution animation for VR, including the new omnidirectional stereo. Simply render with the VR camera. In live action film, motion blur is the result of objects moving during the exposure of the film. The faster the exposure, the less things will blur. Conversely, a long exposure results in more motion blur. Audiences are quite familiar with the look of motion blur and creating this effect in 3D fast and efficiently is critical for convincing visual effects. Pixar's RenderMan can mimic the behavior of real cameras, with extraordinarily fast 3D motion blur. By default, RenderMan renders scenes with an instantaneous shutter speed, an exposure which is impossible in the real world. However, without motion blur the effect would look unnatural, as moving objects would strobe across the screen, causing temporal aliasing. Thankfully RenderMan is extremely efficient at rendering motion blur and has a number of options to help tune the final look. In the real world, when a camera focuses on a close object, the background can go blurry. 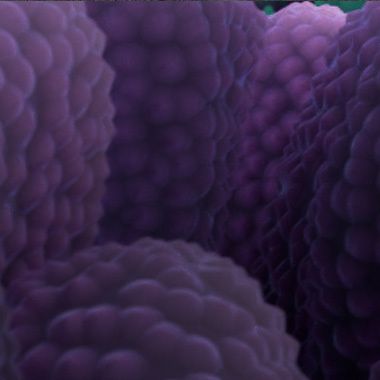 This effect is known as the depth of field, and Pixar's RenderMan offers many controls for creating this effect. With Pixar's RenderMan, we can decide, depending on requirements, whether we want finite or infinite depth of field, an instantaneous shutter speed or a long one to create motion blur. RenderMan provides us with several options to control how our virtual camera behaves, which is important for creating believable 3D imagery. Depth of Field in RenderMan is dependent on three main factors: the focal length of the lens, the diameter of the aperture, and the focal distance of the camera. With these controls RenderMan can convincingly emulate real film cameras. Included with every purchase of RenderMan, Tractor is a modern and robust solution for network rendering, currently deployed at some of the biggest VFX studios in the industry.